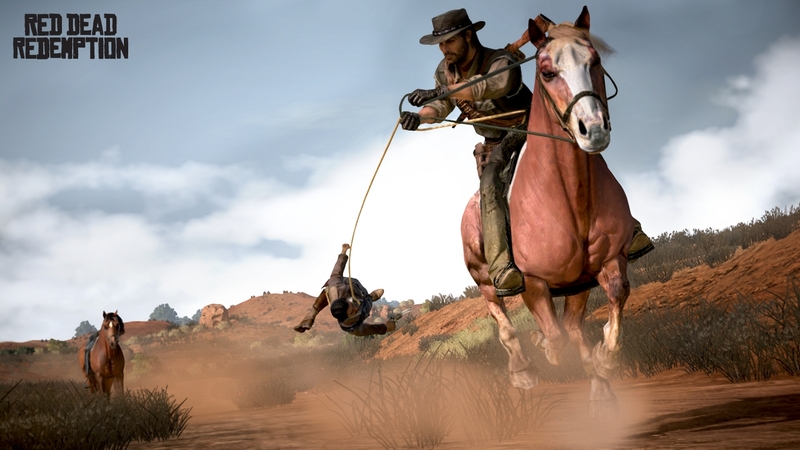 Rockstar finally lets us clamber into the saddle, but is an embarrassing tumble in store? VideoGamesDaily goes hands-on with three missions from the new frontier of sandbox gaming. Glance at any PR shot of Red Dead Redemption – aside from the close-ups of TNT stacks exploding, that is, or of Texans ingesting lead through their belly buttons – and you’ll be struck by the desolateness of it all. Hazy plateaus of sand and grass sweep away to splendid but featureless hillsides, stuccoed with cacti and scarred very occasionally by tracks or railroads. Settlements protrude from this landscape like islands at low tide, tumbleweeds nosing their doorsteps. Even the larger fortified townships seem a tad ephemeral, a little insecure. 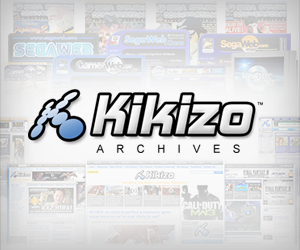 Grand Theft Auto IV had high-rise billboards, and custom ringtones, and the everywhere-present hubbub of traffic with which to grab and guide your attention. Redemption, set a full century or so before Nico Bellic first phoned for a pizza, has no such enveloping man-made fabric of noise and newsfeeds at its disposal. Instead you get buffalo trails and tanned boulders, or the hiss of the wind over thorns. Nico had an apartment, or at least a succession of safehouses, complete with TV, kitchenette and the occasional girlfriend. New hero John Marston, a murderous outlaw turned family-man turned reluctant state-sponsored assassin, has only his pistols, the dollars in his pocket and what sticks he can gather for firewood. As I noted in our first look, it makes a lot of sense for Rockstar to relocate to the Old West. The spaghetti epics from which Redemption takes many of its artistic cues have a lot in common with the developer’s cherished Scorsese or Coppola-directed gangster yarns – hard-eyed anti-heroes, hard-edged ethnicities, a taste for violent absurdities. But those uninterrupted vistas are still a shock, even months after the public reveal, and when we’re told that the new backdrop is one of, if not the biggest Rockstar has ever created, there’s the fear that this primordial sterility could bequeath a sterile game, its hotspots dispersed across miles of uninteresting wilderness, lacking the tightly-packed geographical playgrounds of post-modern urban sandboxes, or a concentrated populace from whom to leech one-liners and punch-ups. We weren't able to try this out, but it looks like first-rate Youtube fodder. We’ve seen and heard plenty about how the developer plans to fill your time – about sly horse thieves and I-Spy treasure maps, highway robberies and recreational finger removal – but only today, in the prolonged hangover of an English January, do we get a chance to slip on John Marston’s rawhide boots and kick back with a controller. Redemption handles much like GTA IV: analog stick movement and camera control, right trigger to shoot (or punch, if ammo is scarce and you’re feeling thuggish), D-pad to hot-swap one of your six firearms and left bumper to unfurl a weapon wheel. Right bumper locks to cover, while holding A button makes Marston run or, when tapped, sprint. Strolling around a plain just outside the rickety nowhere-ville of Armadillo, taking potshots at bottle-green Saguaro trunks and wild horses (whom you can skin for additional moolah), we find the layout as dependable as ever. Horses serve another and more important function than target practice, of course, and much as GTA wouldn’t be GTA without its celebrated, varied fleet, so Redemption’s claim to fame may depend on just how successfully Rockstar has fleshed out the relationship between rider and mount. “Flesh”, indeed, is the key word: these are living, breathing creatures, or at least passable recreations of living, breathing creatures, and there’s a corresponding element of give-and-take, of mutual respect, as we belatedly and bruisingly discover after being a little too generous with the spurs. 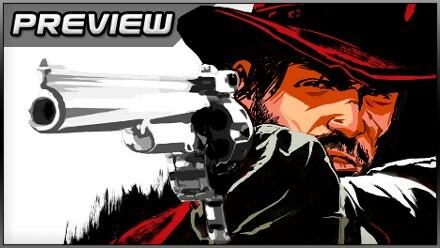 Posted in Previews, Spotlight, and tagged with hands-on, PlayStation 3, preview, PS3, Rockstar Games, Take Two, Xbox 360.